The Wright R-2600 Cyclone 14 was an air-cooled supercharged radial aircraft engine with 14 cylinders arranged in two rows. Bore was the same 6.125 inches (156mm) of earlier Cyclones but the stroke was changed to 6.3125 inches (160mm). Maximum rotations per minute was 2600 and the engine weighed 1980 lbs (898 kg). It cost about $16,500 to produce, and a total of about 47,320 of all models were manufactured between April 1941 and October 1945. The supercharger was a two-speed single-stage gear-driven supercharger. Wright introduced the R-2600 in 1939. Pratt & Whitney responded with their R-2800 Double Wasp, which ended up dominating the market. 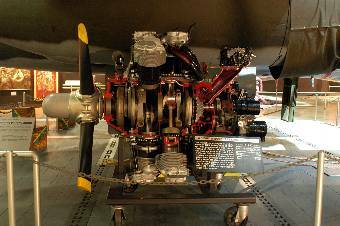 Aircraft using this engine included the A-20 Havoc, A-35 Vengeance, B-25 Mitchell, TBF-1 Avenger, PBM Mariner, and SB2C Helldiver.